We welcomed Rod Pyle back to what was supposed to be a 1 segment 60 minute discussion but do to a last minute call by Dr. Lurio, the program went longer to a total of 80 minutes. I started the discussion with Rod about the cover photo on his book because it reminded me of a type of War of the Worlds scene. Moving on from the cover discussion, I asked Rod about the why and the focus of his book, "Space 2.0". Rod talked about public private partnerships, Space Act Agreements and entering a new space age with new players, different types of business and contract models, small players coming on scene that work with traditional aerospace or large private players and more. He suggested that industry merger points involved both SpaceX and Blue Origin. Both of these companies, but primarily SpaceX, have changed the way space is being carried out, including traditional aerospace companies. SpaceX and Elon Musk influence in the industry was a big part of the discussion as both Rod and I thought that Musk and SpaceX had changed the course of space development and for the better. Marshall then called us to once again make his comparison between Musk and Howard Hughes. Rod and Marshall talked about that comparison for a few minutes and from time to time I offered some comments. I thought it was an interesting comparison. Let us know your thoughts on what Marshall said by posting on our blog. Rod was asked about his support for international cooperation in space projects given it often results in delays and higher mission costs. Rod explained why he supported the international cooperation. Another topic focused on China, intellectual property issues with them and more. We then got an email from Todd in San Diego asking about the congressional relationship today with NewSpace. We also talked about risks to human spaceflight should there be an accident. Rod had much to say about this. I asked Rod to let us know how we could get a copy of "Space 2.0" and if he had autographed copies available. Rod told us how to get it, he listed the various formats available for the book and I asked if he was the one who read the book for the audio version. I then asked about autographs and he explained how to get an autographed copy. We had a short discussion about autographing books and using electronic copies of the signature for the autographs. Rod did not like doing that. At the end of our program, Dr. Charles Lurio of The Lurio Report called. Charles talked about SpaceX success and leadership, Mr. Musk and some issues with planetary protection, the requirement for some planetary mission hardware to be sterilized, and Musk launching the Tesla on the FH launch. 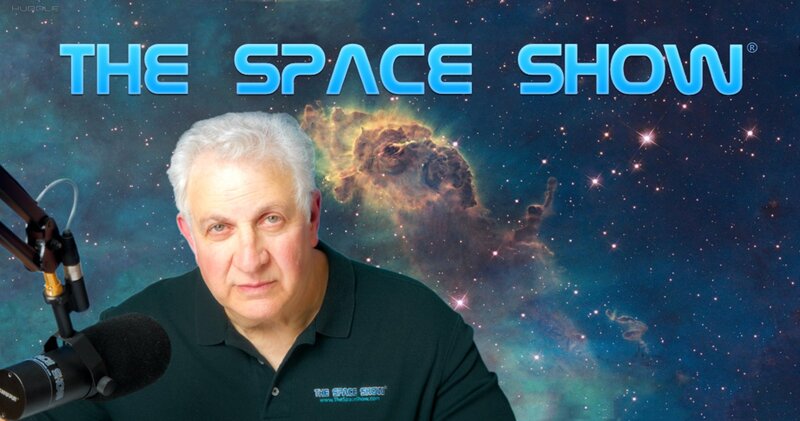 Rod brought up the Space Festival at the Space Museum in Novato, CA to be held in August and we talked about attending it this year. You can find out more about this excellent program and museum at www.thespacestationca.org/NovatoSpaceFestival.shtml. Before we ended, Rod talked about Buzz Aldrin writing the foreword for his book. Please post your comments/questions on our blog. You can reach Rod through me or his website, www.rodpylebooks.com. Rod's new book, "Space 2.0"